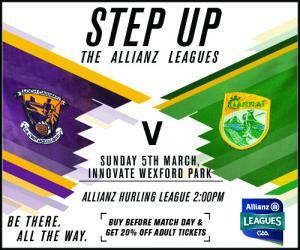 Wexford maintained their 100 per cent record when an improved second half showing inspired them to a comfortable 15 point victory over Kerry At Innovate Wexford Park before an attendance of 2,600. Perhaps the biggest cheer of the afternoon was reserved for Jack Guiney who marked his 47th minute introduction with a goal and a point in his first competitive inter-county outing for two years, but his presence lifted the home large home crowd. While the striking aspect of the first half was the battling qualities display by Kerry, but it will also be remembered for the four clear-cut goal opportunities missed by Wexford’s David Redmond, Lee Chin and Harry Kehoe. Kerry got a good start leading 0-4 to 0-3 after 12 minutes as Bryan Murphy, John Buckley, two, and Padraig Boyle, free, all found the target, with Lee Chin, two, one free, and a Conor McDonald, free, keeping the home side in touch. Wexford were winning lots of possession, spraying the ball around with purpose and accuracy, but their finishing was not going according to plan, despite further points from Chin, McDonald and Morris. Kerry turned in a fine finish to the half with three unanswered points through Paudie O’Connor, two, and Jordan Conway, to go in level 0-7 each at the interval. Wexford began the second half with a brace of points through McDonald and Chin, before disaster struck for Kerry, on 41 minutes, when Harry Kehoe intercepted a short clearance to punish with a goal. One minute later Diarmuid O’Keeffe after his initial point attempt came back high off the upright followed up to find the net from a David Redmond pass, leaving his side leading 2-9 to 0-7. Having turned the game around in their favour, Wexford were never going to relinquish their lead for the continued to dominate right through the pitch. After Colum Harty had Kerry’s first second half point on 45 minutes, Wexford went on to outscore their opponents, picking off a string of unanswered points, as Lee Chin dominated up front. Guiney marked his introduction with a trademark 56thminute goal, collecting a crossfield ball, before shaking off his marker to shoot low to the net. 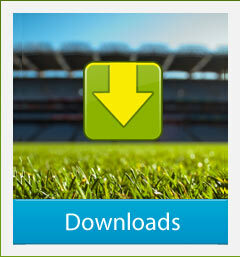 While Kerry tried hard it was Wexford who powered on to a comfortable victory. Diarmuid O’Keeffe, Harry Kehoe and Jack Guiney 1-1 each, Conor McDonald 0-6 (5fs), Lee Chin 0-4 (1f), Damien Reck, Matthew O’Hanlon, Paul Morris, Willie Devereux and Eanna Martin 0-1 each. Colum Harty, John Buckley and Paudie O’Connor 0-2 each, Bryan Murphy, Jack Goulding, Daniel Collins, Jordan Conway, Padraig Boyle (f), Brendan O’Leary 0-1 each. Mark Fanning; simon Donohoe, Liam Ryan, James Breen; Damien Reck, Matthew O’Hanlon, Diarmuid O’Keeffe; Shaun Murphy, Jack O’Connor; Aaron Maddock, David Redmond, Harry Kehoe; Conor McDonald, Lee Chin, Paul Morris. Subs: David Dunne for Redmond (46), Jack Guiney for Morris (47), Gary Moore for McDonald (59), Eanna martin for O’Keeffe (60), Willie Devereux for Breen (63). Martin Stackpoole; Keith Carmody, Rory Horgan, Sean Weir; James O’Connor, Bryan Murphy, Darren Dineen; Jack Goulding, Paudie O’Connor; Daniel Collins, Patrick Kelly, Colum Harty; Jordan Conway, Padraig Boyle, John Buckley. Subs: Tomas O’Connor for Goulding (61), Brendan O’Leary for Boyle (61), Jason Wallace for Buckley (65), Daniel O’Carroll for Conway (65), James Godley for Paudie O’Connor (66). 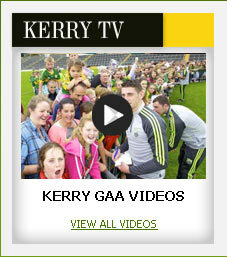 Kerry’s next game in the AHL is against Galway in Austin Stack Park on Sunday next at 2pm. The Kerry senior hurlers will make the long trip to Wexford on this Sunday, 5th March to take on the home side in Round 3 of the Allianz Hurling League. 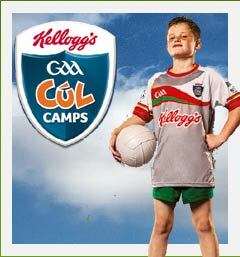 Venue is Wexford Park where there will be a 2.00p.m. throw in. 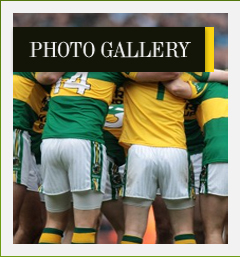 The Kerry team will be announced on Friday evening at 8:30pm and posted on this website.